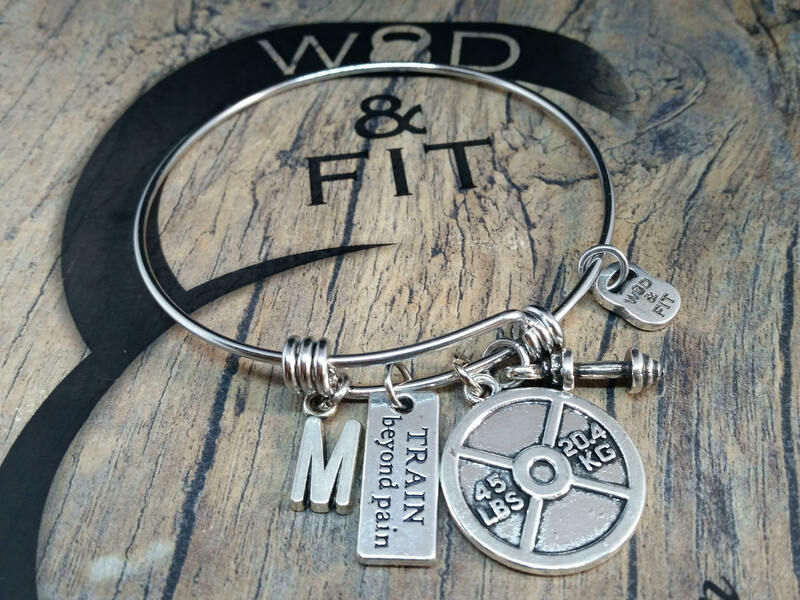 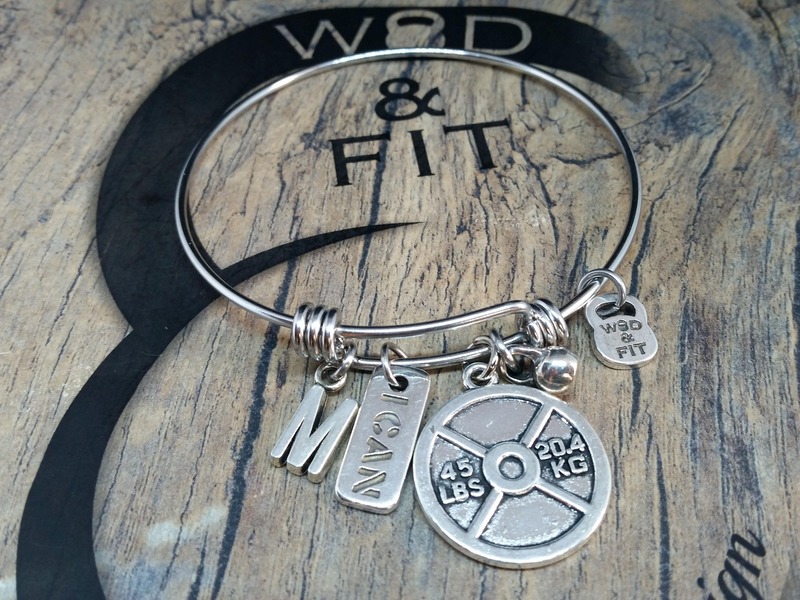 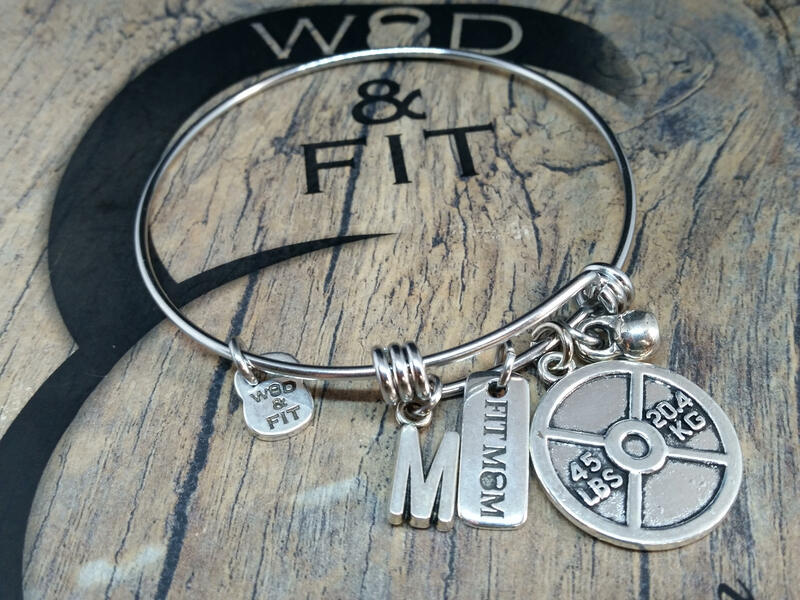 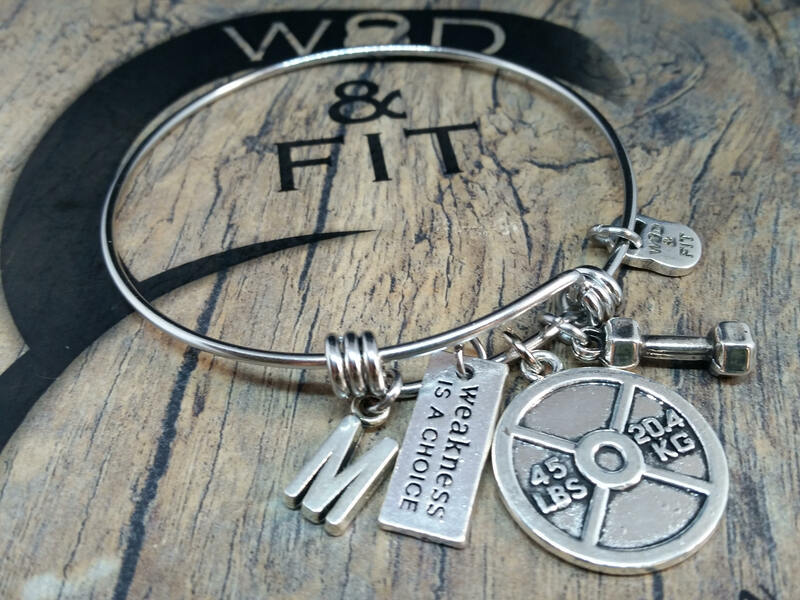 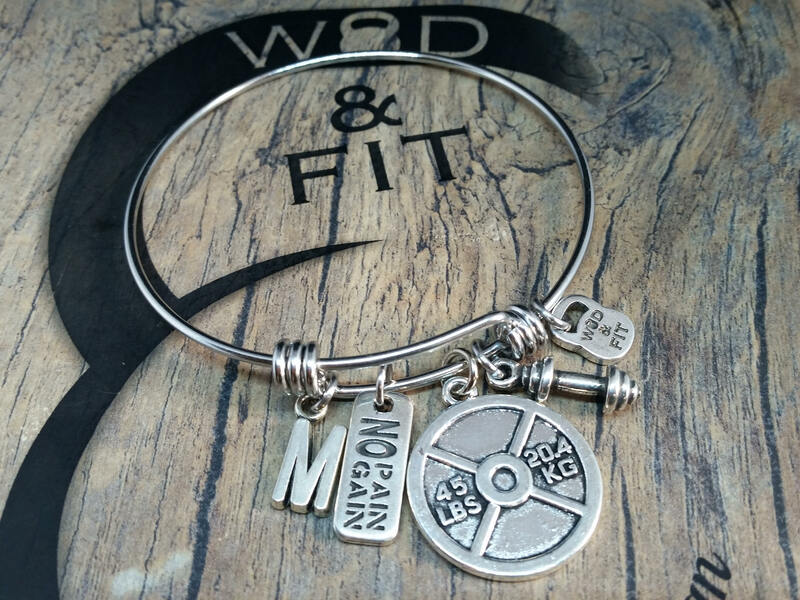 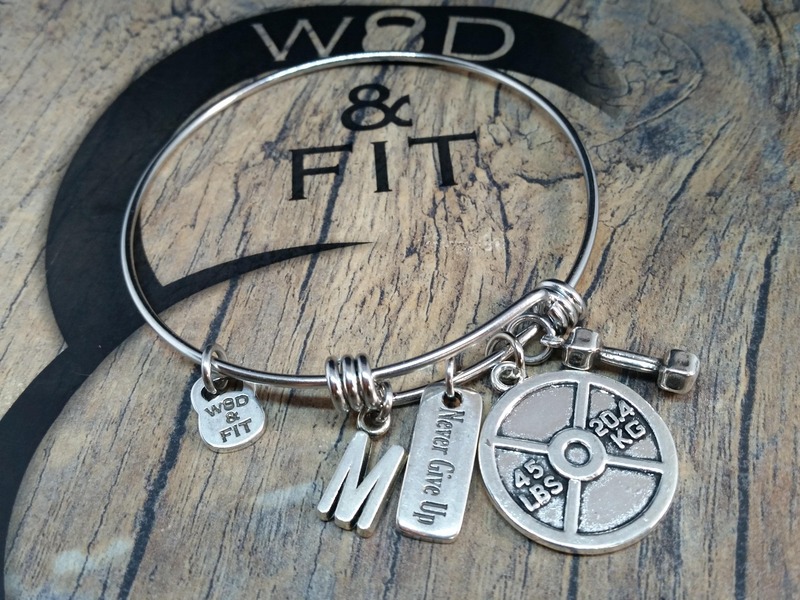 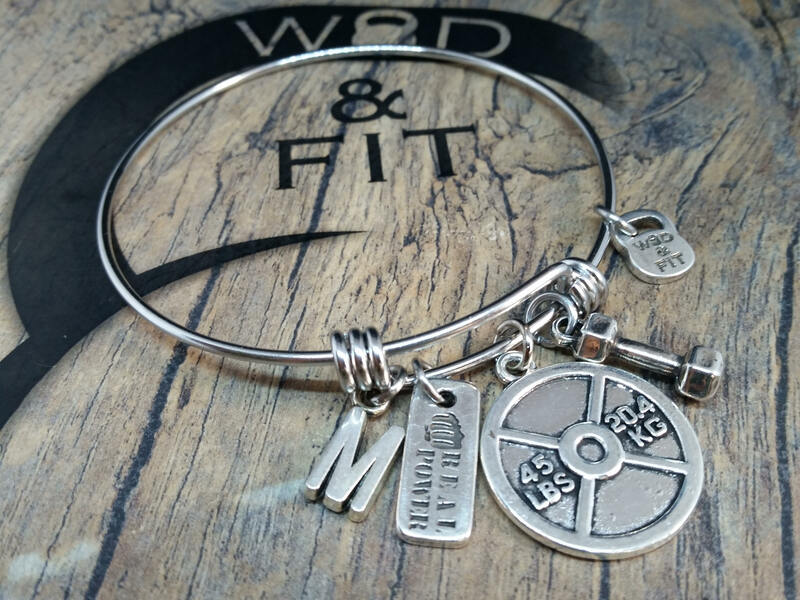 Bracelet Sharon Workout Weightplate 45lbs,Dumbbell Motivation & Initial Leter. 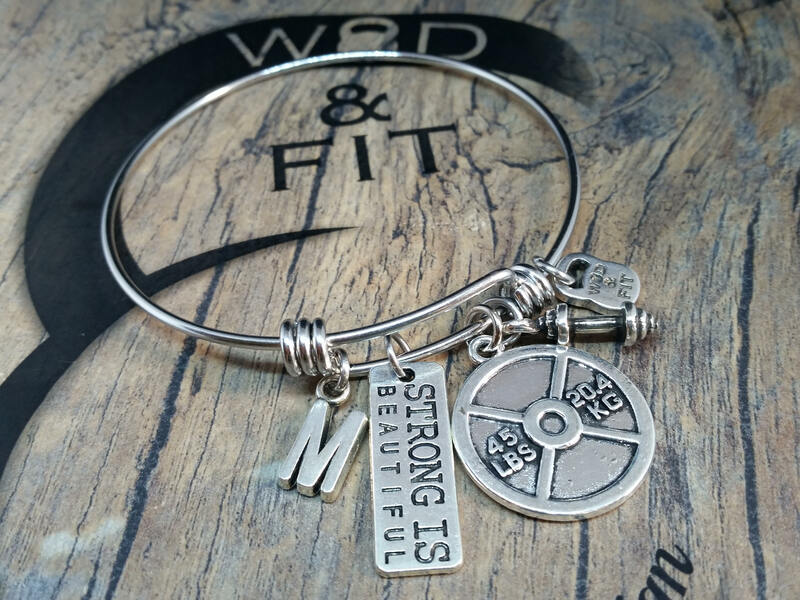 Bracelt stainless steel Adjustable (66mm) with Weightplate 45lbs, Dumbbell, your favorite Motivational word and the your first letter. 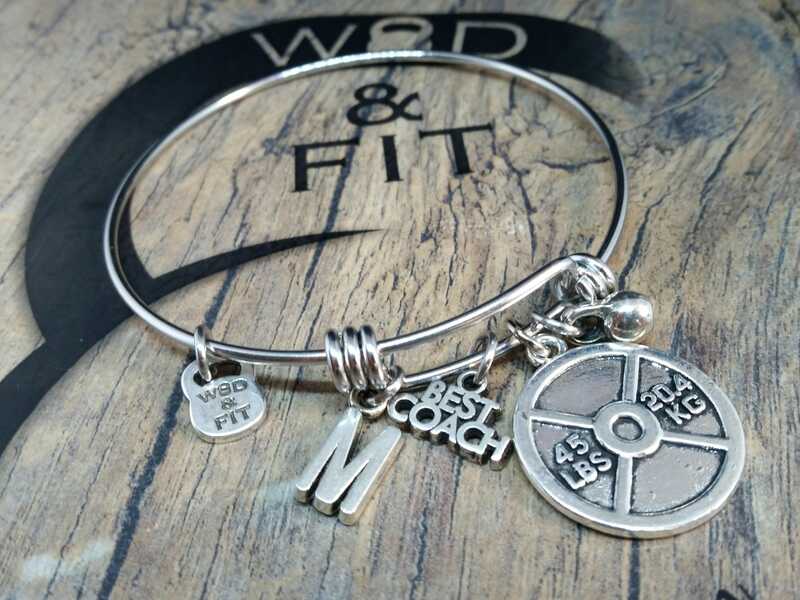 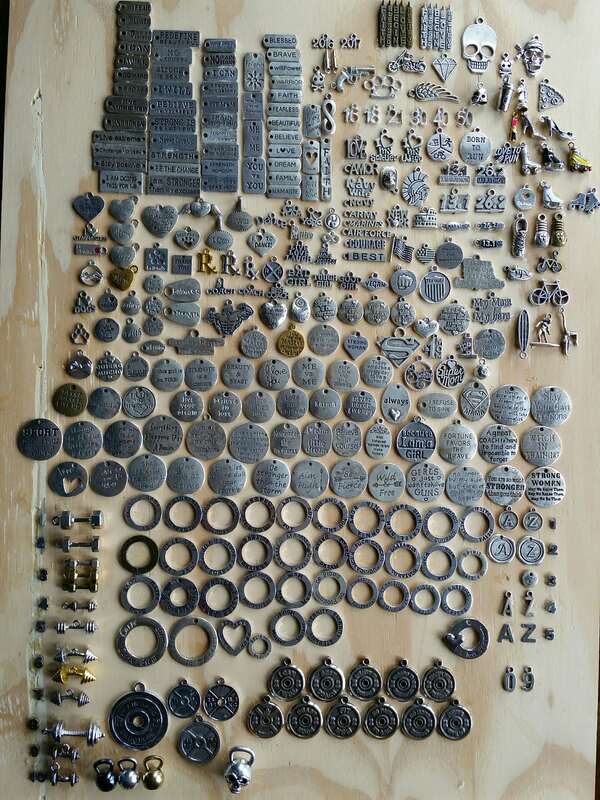 If you want a weight model, different from the Barbell, write it in notes you can choose Dumbbell or Mini Kettlebell.